Lake effect snow bands start over open water past the ice that lines the shore of western Lake Michigan. Anyone who has spent a winter along the Great Lakes understands the downside of “Let it snow, let it snow, let it snow.” The magnificent waters of the Great Lakes – the largest bodies of fresh water on the planet – are also responsible for the weather phenomenon known as ‘lake effect snow’. Because all the lakes except Superior are largely free of ice throughout the winter, the open water is warm enough to create vapor, which leads to snowfall – often a lot of snowfall. For hair-raising details of lake effect snow, simply talk to someone who lives in Buffalo. Because lake levels are at record lows, increased snowfall is currently desirable in Michigan. Unfortunately, lake effect snow only draws water from the lake, it does not replenish it the way a low-pressure winter storm sweeping across the Great Lakes would. Aside from the difference in how it distributes moisture, some people may not understand the distinction between a regular winter storm and a lake effect storm. In a nutshell, lake effect snow is like the Energizer Bunny – it just keeps snowing. Such incessant snowfall can measure up to six inches an hour. And to make it even more dramatic, this intense snow event can be accompanied by thunder and lightning, also known as ‘thundersnow’. During the winter, frigid air from the north begins to move across the United States. 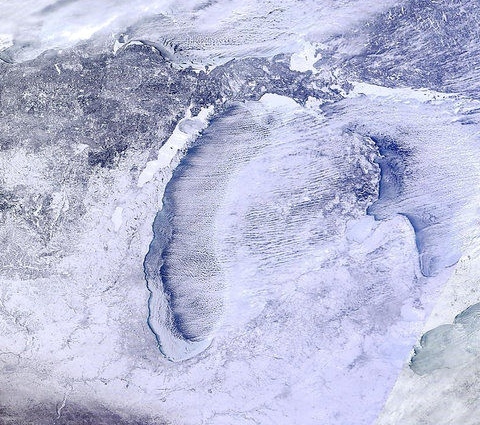 When it reaches the Great Lakes, the arctic air is colder than the open waters below. This air naturally picks up moisture from the Lakes. The now saturated cold air rises to about 5000 feet and becomes a snow cloud, which then moves south and east. According to NOAA, these clouds form snow bands extending up to 100 miles inland from the lake, while being only 20 to 30 miles wide. Communities located in the lake effect snowbelt can expect to see a lot more snowfall than their counterparts in Detroit or Toledo would. A low-pressure winter storm normally lasts from a few hours to several days, however snowfall is sporadic. But lake effect snow is relentless, frequently snowing without stop for over two days. During the first lake effect storm I experienced in Michigan, it snowed nonstop for 24 hours, took a brief rest, and continued snowing nonstop for another 24 hours. I’d lived in Michigan for most of my life and never seen it snow like that. Lake Effect Snow in Douglas, Michigan. Not surprisingly, lake effect storms often result in record snowfalls. On January 17-18, 1959, 51” fell at Benetts Bridge in New York in just one 16-hour period. 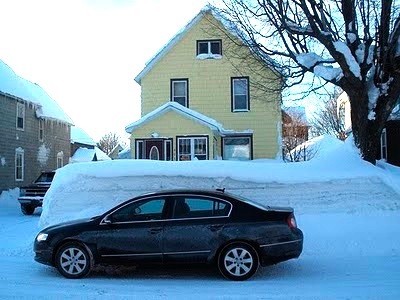 The unofficial world record for snowfall in a 24-hour period occurred in Montague Township, New York (just downwind of Lake Ontario) when 77 inches fell on January 11, 1997. 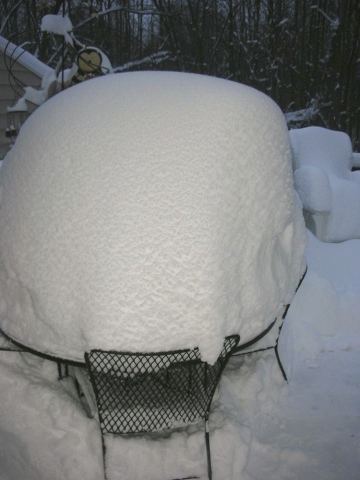 That lake effect storm ended up producing 95” of snow in just three days. 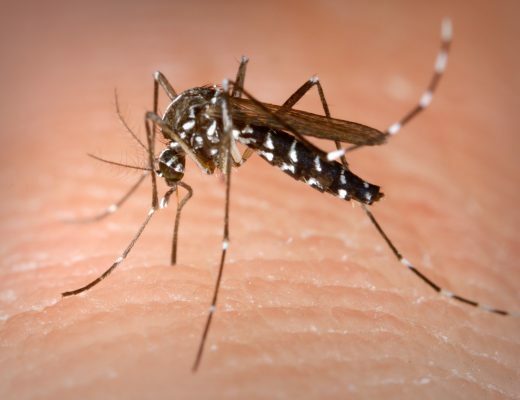 Be careful pulling out of your driveway in Houghton, Michigan. 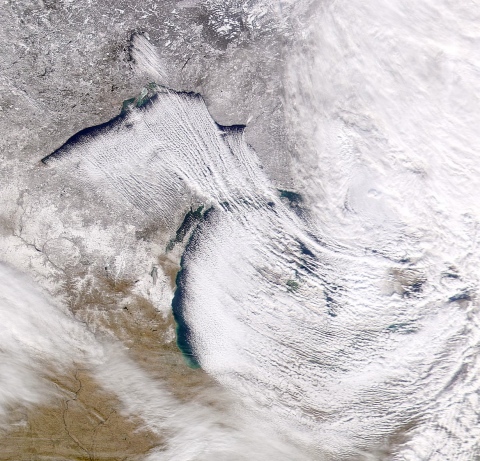 Huge lake effect snowstorms coming off Lake Superior and Lake Huron regularly hit Michigan’s Upper Peninsula and Canada’s snowbelts. In fact, lake effect snow seems to be a daily event in the U.P. The U.P.’s Copper Harbor recorded close to 22 feet of snow in just one season. Some residents in the U.P. have built outside entrances to their homes on the second floors because the entrance on the ground floor is likely to be buried by snow. 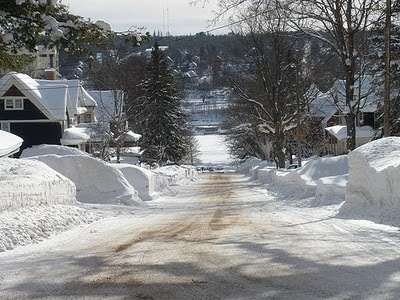 With an average of over 240 inches of snow per year, the Keweenaw Peninsula in the U.P. is regarded as the snowiest region east of the Rockies. And the Upper Peninsula has more than once broken its own snowfall records, exceeding 390 inches in one winter. 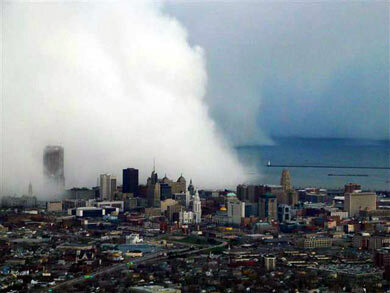 Lake effect snow – also called lake effect snow squalls – are sometimes so localized, they are difficult to predict. One moment, the skies are sunny, the next moment a blinding wall of snow has appeared. On November 11, 2013 St. Joseph, Michigan received 17 inches of snow in one night, but locations 10 miles away received none. 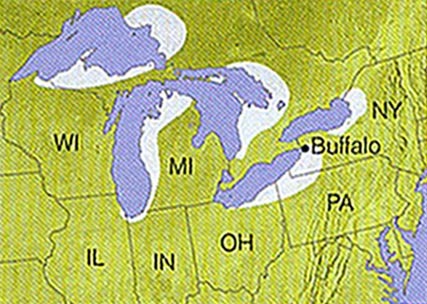 In Michigan, our lake effect snow comes from Lake Michigan, Lake Superior and Lake Huron, but cities such as Cleveland, Ohio and Buffalo, New York get their lake effect snow courtesy of the air coming off Lake Erie and Lake Ontario. 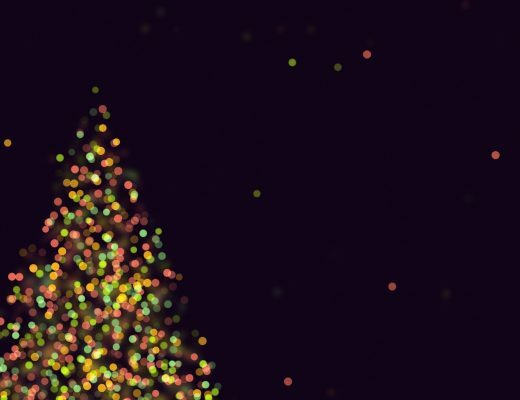 Syracuse, Buffalo and Rochester, New York compete each winter for the Golden Snowball Award, given annually to the snowiest city in the region. Regions regularly experiencing lake effect snow around the Great Lakes. Lake effect snow usually doesn’t continue throughout the entire winter. 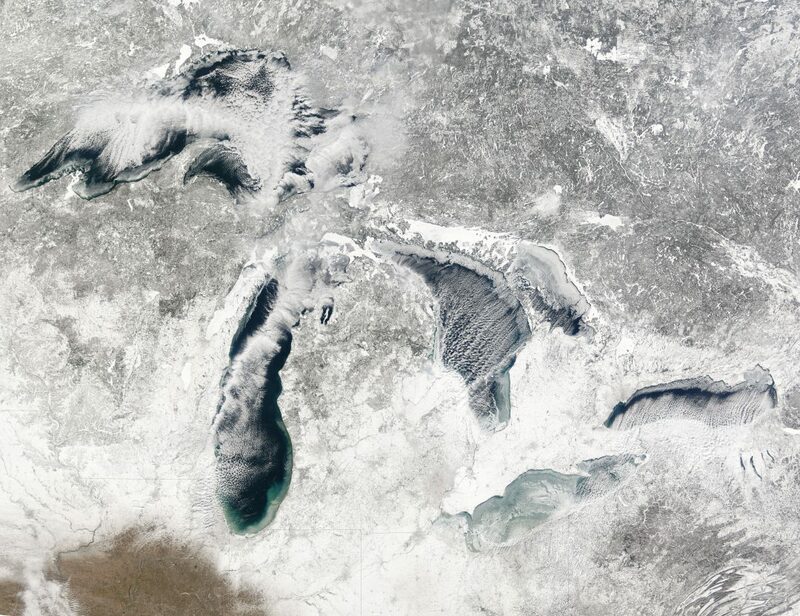 By the time late January rolls around, the lake waters are normally too cold for vapor to be generated. Indeed the bulk of lake effect snow falls in late November, December and early January. 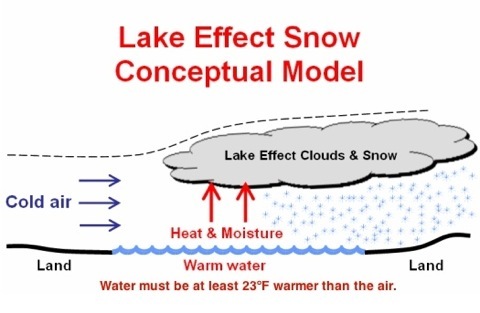 But lake effect snow can reappear in the spring when the lake waters warm up as a result of the thaw. Although all of the Great Lakes experience lake effect snow, it most often occurs at their southeastern shores. 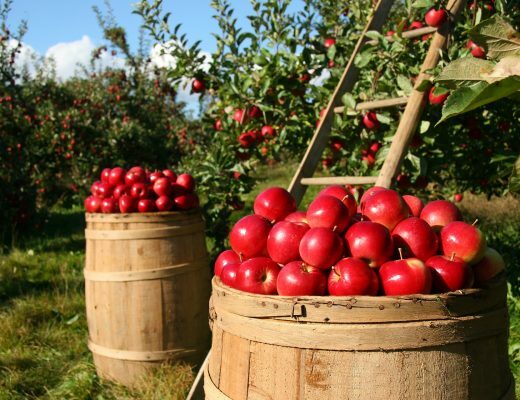 And there are real benefits to all that snow, aside from the sheer scenic beauty of it. Both the early freeze and thick snow act as an insulating blanket for these regions. The results are perfect for protecting the grapevines that are responsible for Michigan being the fourth largest grape growing state in the country. Small wonder that most of Michigan’s thriving vineyards can be found within 25 miles of Lake Michigan, otherwise known as a lake effect snowbelt. While the Great Lakes produce the strongest and most frequent lake effect snow events, other areas in the country also have them. The Great Salt Lake sees impressive bands of lake effect snow. And the ocean counterpart of lake effect snow is called ‘bay-effect snow’, which occurs in both Cape Cod Bay and Chesapeake Bay. Michigan will likely see more lake effect snow in the future. 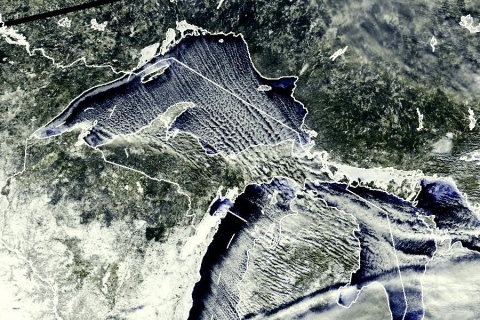 Due to climate change, the Great Lakes are increasingly experiencing warmer water temperatures and less ice. This has resulted in more lake effect snow. Although if the temperatures continue to rise, all that lake effect snow may one day turn into ‘lake effect rain’. © 2017 - Lake Effect Living. All Rights Reserved.